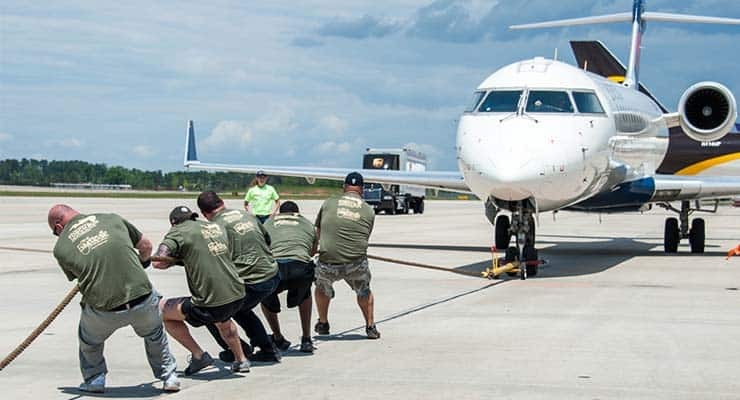 The 2019 Plane Pull presented by Credit Suisse will take place on April 27 at the UPS Tarmac at RDU International Airport. 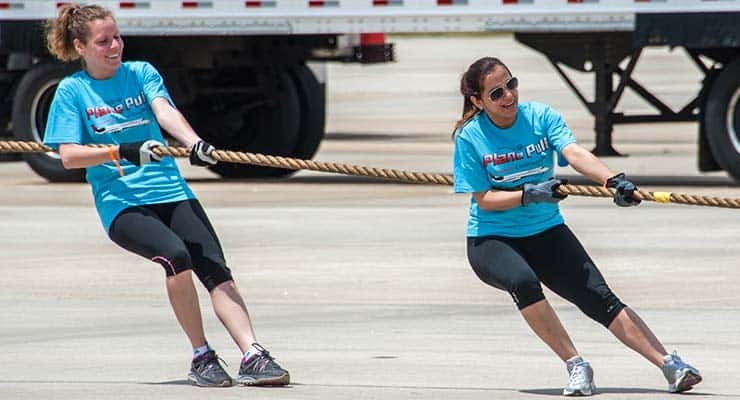 The Plane Pull® is also a unique team building activity for groups. It requires participants to come together as a team to achieve a very daunting task — pull an airplane 25 feet! 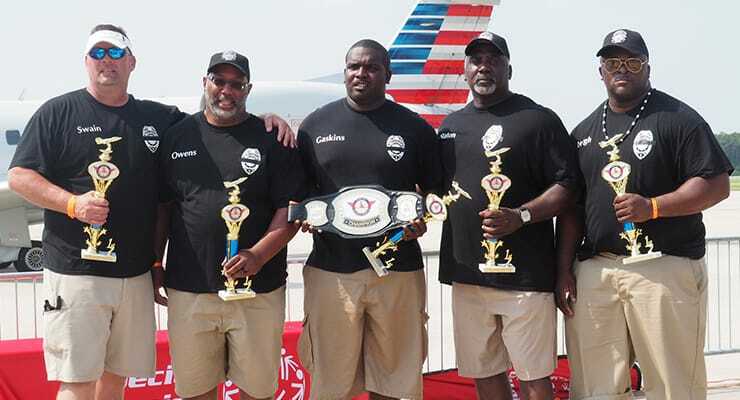 Five-person teams will compete to see who can pull a 30,000-pound plane the fastest! Participants must be at least 14 years old to compete. Each five-person team must raise a minimum of $800 total by the event date. Skip the registration line on Saturday and attend the Plane Pull Open House! Stop by the SONC office in Morrisville on Thursday, April 25 to pick up registration packets. Questions? Contact Leslie Moyar at lmoyar@sonc.net or 910.210.0966. Congratulations to the Foothills Regulators for being named the 2018 Plane Pull Champions! View 2018 photos and full results. View our Plane Pull photo galleries.